Below are the complete details of the Driver jobs in Khyber Pakhtunkhwa Government in Kohat. 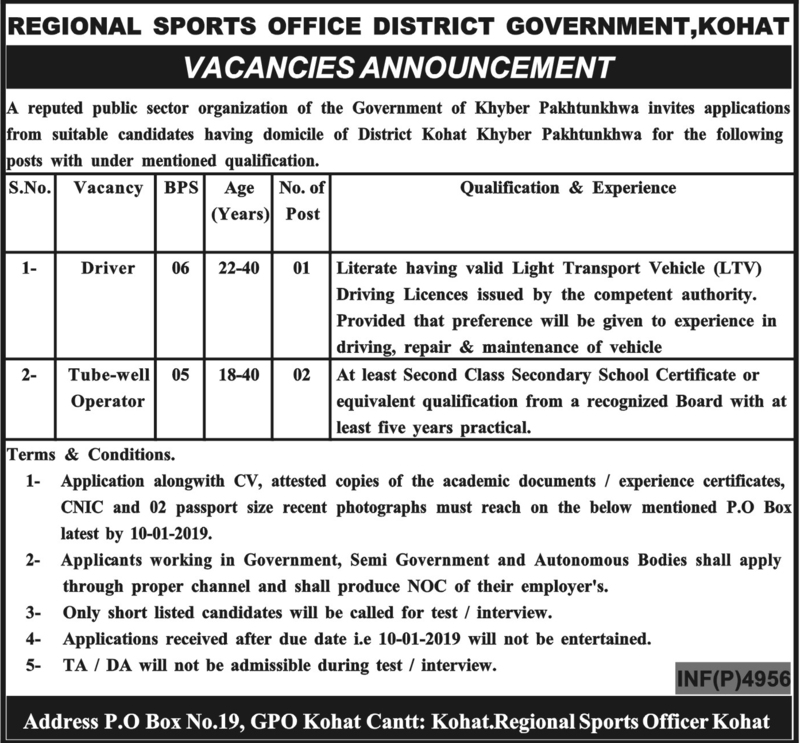 Qualification: Kpk Government Kohat Jobs For Driver. Required Qualification: Must be Literate. Age Limit: Minimum 22 Years or Maximum 40 Years. Attractive Salary Package. Last Date for Submission of Application 10th January 2019. 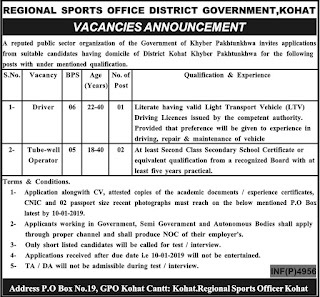 Driver jobs in Khyber Pakhtunkhwa Government Kohat, in Pakistan published on Paperpk.com from newspaper on December 29,2018. Job seekers who are already working as LTV Driver , HTV Driver ,Heavy Duty Driver can also apply for post of Driver.